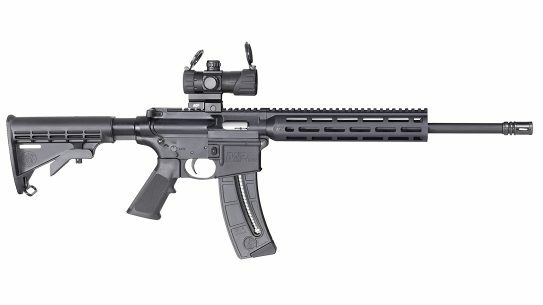 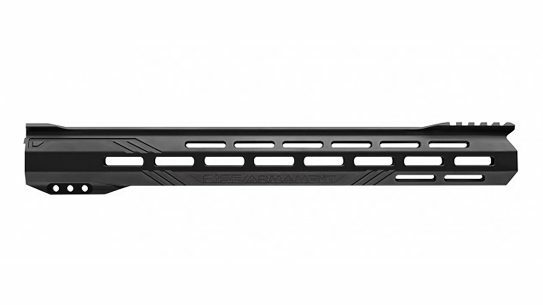 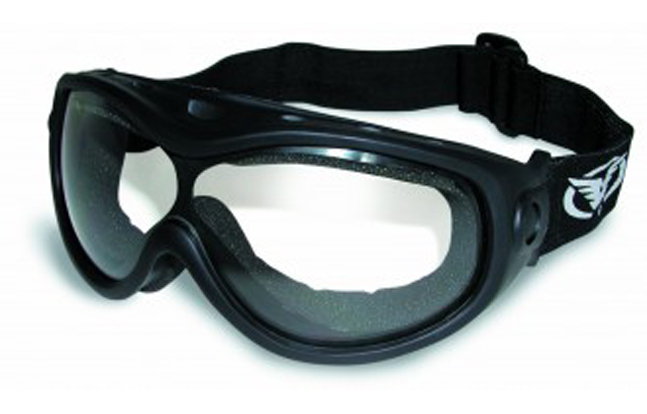 The All-Star Kit A/F Goggles from Global Vision have a one-piece lens design and Matte Black TPR frames. 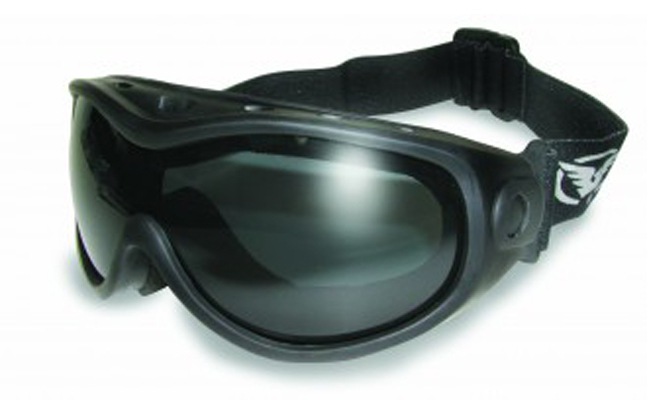 Renowned eyewear manufacturer Global Vision has announced the release of their All-Star Kit A/F Goggles, new for 2014. 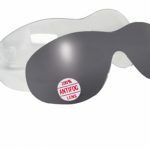 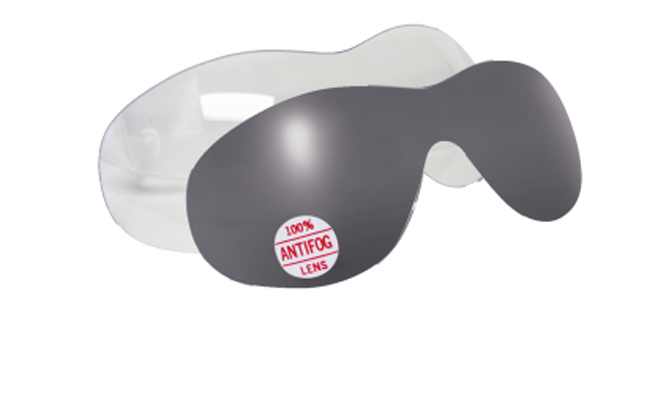 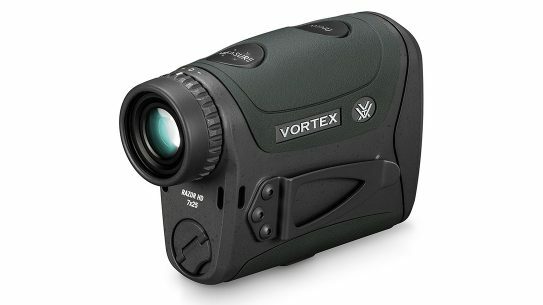 These goggles, as with all Global Vision products, come with UV400 filtering for optimized UV protection. 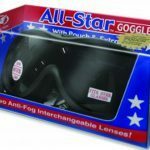 The All-Star Kit A/F Goggles also have a one-piece lens design and Matte Black TPR frames, as well as scratch resistant coating and foam covered venting. 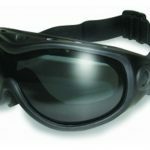 These goggles, which are designed to fit over glasses, include interchangeable clear and smoke lenses and are ANSI Z87.1-2010 certified. 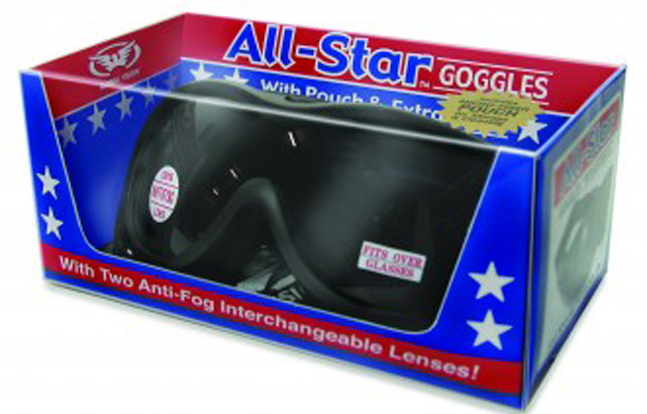 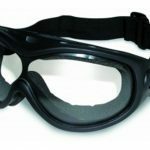 The manufacturer suggested retail price for the All-Star Kit A/F Goggles from Global Vision is $39.99. See below for additional details.